Having won the tender for the Bournemouth Christmas Market, Seventa Events will create a brand new and bespoke Christmas experience for Bournemouth and are calling for local people to input their ideas. Bournemouth Borough Council has granted a 5-year contract to Seventa Events to provide the town’s Christmas offering. Previously run by S&D Leisure in Manchester, the appointment of Seventa will mark a significant change to Christmas in the town. Bournemouth-based Seventa Events aim to create a Christmas which is more focused on benefits for the whole town. This will include a move away from the German Market to a new Alpine Market offering boutique and local craft products and food stalls. Local businesses who have already expressed interest in being involved include independent restaurants Ojo Rojo, Koh Thai, La Piccola Italia, and Smokin’ Aces. Simon Brooks, founder and director of Seventa Events, said, “We are thrilled to have been awarded the Christmas contract. Having had great success in the past with our Christmas takeover of the Print Rooms, we’ve always enjoyed bringing festive events to the area. With a focus on local and regional suppliers, it is expected that the new Bournemouth Christmas Market will provide job opportunities for residents, whilst Seventa will be employing more local people to bring their proposal to life too. To ensure their creation has the interest of the community at heart, Seventa are calling for local people to input their ideas. Feedback is welcomed via the brand new ‘Bournemouth Christmas Market’ social media page set up specifically for the Bournemouth Christmas Market. It will inform the public of the overall look and aesthetic planned. Plus, it will showcase everything that Bournemouth is offering at Christmas; including the Christmas Market, pantomimes, festive accommodation offers from local hotels, restaurant deals, and Christmas activities. Seventa Events will introduce an impressive two storey, custom-built Alpine Lodge. This will offer both indoor and outdoor heated spaces with a range of Christmas-themed beverages from local producers. The second floor of the specially designed lodge will overlook the Lower Gardens and the Christmas Market. 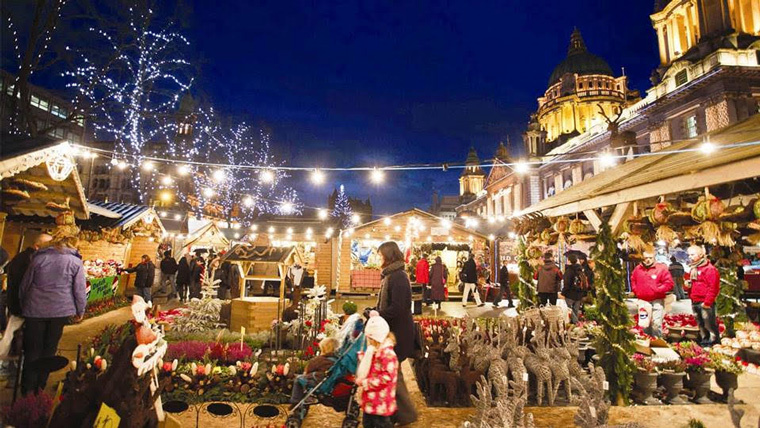 Plans are also underway for a traditional family Christmas attraction, alongside entertainment and other Christmas activities in the Lower Gardens which have included in the past the popular ice rink. Seventa will also be engaging with regional schools and running school choir competitions and Christmas carol concerts over the festive period.